Nicola fights Sir Kenton, tooth and nail, as it were, who has now taken siege of Babylon castle. But the animosity changes. Sir Kenton begins to admire the spirit of the woman, and she equally gains respect for the knight, for not only is Sir Kenton a great warrior, he is a kind soul and a man of his word. (here I wish Nicola would remember this when she overhears something about her, not directed to her) He sees her children need guidance and with expecting nothing more, he gives them the guidance they have never had in their lives. A spark of attraction is lit between Sir Kenton and Lady Nicola, but love is not linear, it takes its twists and turns, becoming ultimately richer through the journey. 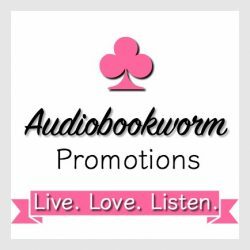 This entry was posted in Action/Adventure, Historical Romance, Medieval Romance and tagged Audiobook Reivew, de Wolfe Pack Series, Historical Medieval Romance, Kathryn Le Veque, Sean Patrick Hopkins. Bookmark the permalink.